A judge has upheld Home Secretary Amber Rudd’s decision to send home an American couple who have spent about £400,000 on their award-winning Inverness guesthouse. Lady Carmichael ruled that the politician didn’t act unlawfully when she ruled that Russell and Ellen Felber didn’t meet legal requirements to remain in Scotland. 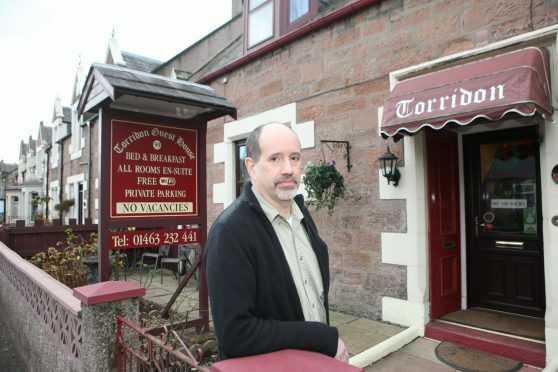 The New Yorkers had employed one person full-time at Torridon Guest House in Kenneth Street – but a rule change in 2014 meant they had not been employing enough people. Last night, Mr Elber said both he and his wife were too “freaked out” by the outcome to comment on their next steps, which could involve the case going to a higher court. The Felbers bought the guest house for £300,000 and spent another £100,000 on renovation – and it has since received rave reviews and awards. Mrs Felber has became an active member of Inverness Cathedral’s bell ringing club and she was also taking Gaelic lessons. The couple first came to Scotland in 2011 on a three-year visa which was extended by another two years, but when they applied for leave to remain in the UK in early 2016 the Home Office refused to grant the application. And the Felbers received a letter in December from the Home Office telling them they had 30 days to leave the UK. The Court of Session heard in May that the Home Office changed the rules on the number of employees that business people on entrepreneur visas in November 2014. These new rules were devised after a decision was made to extend the Felbers’ visas. Mr Felber’s lawyer, advocate Alan Caskie, argued that the home secretary should have applied her discretion and allowed the Felbers to remain, as the couple has acted in accordance with their visa requirements. But yesterday, Lady Carmichael issued a written judgment which read: “The court’s function will usually be limited to reducing a decision that has been taken where a discretion has been found to have been exercised in an unlawful manner.